Logan Fontenelle, an interpreter and Omaha chief, was born at Bellevue in May, 1825. His father was Lucien Fontenelle, a noted fur trader both on the lower Missouri River and near Fort Laramie, Wyoming. 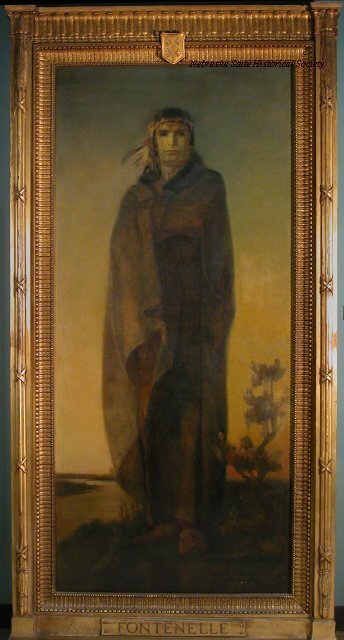 His mother was a daughter of Big Elk, noted chief of the OMaha. Logan, the eldest of four sons and one daughter, was educated at a private school near St. Louis, before joining the family at Fort Laramie in 1837. Two years later the family returned to Bellevue, where the father soon died. Little is known of Logan's life for the next decade, but in the early 1850's he became recognized as a chief of the Omaha by both the tribe and the U. S. government. As both chief and interpreter he went with the Omaha chiefs to Washington, D.C. where they signed a treaty on March 16, 1854, selling most of their land to the government and restricting themselves to a reservation in northeast Nebraska. 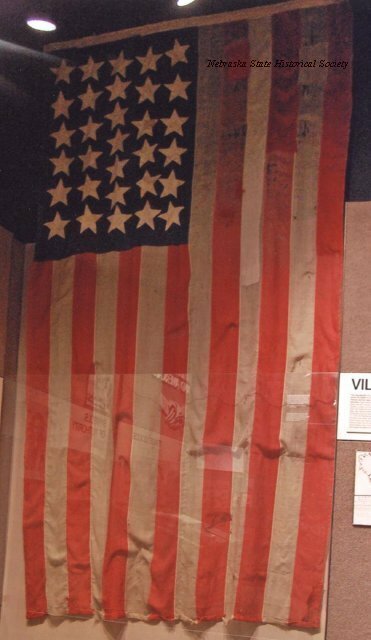 This opened the Nebraska Territory to settlement. In 1855, Logan Fontenelle accompanied a party of Omaha on a buffalo hunt near here in present Boone County. The party was attacked by Sioux and Logan was killed, probably on July 17th. His body was returned to Bellevue, where he was buried. 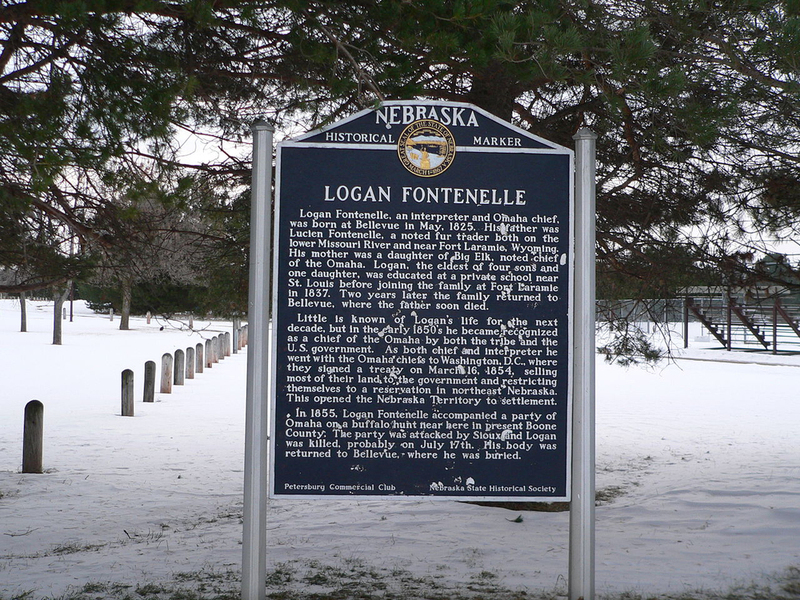 “Logan Fontenelle,” Explore Nebraska History, accessed April 19, 2019, https://mynehistory.com/items/show/15.